Corpus Christi Cell Phone Repair Shop. We Want To Be Your Corpus Christi Cell Phone Repair Shop! We exist as a Corpus Christi cell phone repair shop for one purpose – to bring you the fastest cell phone repairs at the best prices in town – with friendly service and guaranteed customer satisfaction. With certified master level-3 trained technicians, we can handle pretty much any tablet and cell phone repairs in Corpus Christi. We are a local, family-owned business just trying to become the best Corpus Christi cell phone repair shop in town with great service and quality repairs! Maybe you think your device is a lost cause? We recently had a Kindle 7HDX brought in. While the customer was trying to replace his battery, he cracked the screen then broke a ribbon. “Can you fix my tablet?” was his question. You bet we could, and even with the extensive damage, we could fix it for less money than buying a new one. We fix all types of cell phones and tablets. Our technicians are master level-3 trained and we have the most common parts for all kinds of phones and tablets in stock to facilitate quick fixes. We fix all kinds of problems. From screen replacement, to water damage, to home button replacement, we can fix it! Bring in your iPhone, Samsung, LG phones, other smartphones, and tablets and get them fixed today. We understand that if you are reading this, you likely need help fast and need work done right the first time. 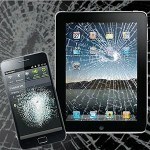 When you need cell phone and tablet repairs in Corpus Christi, we treat you like we would like to be treated. 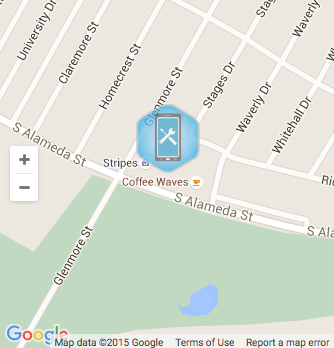 We are a Corpus Christi cell phone repair shop that emphasizes customer service. Our goal is to make sure that your damaged device is returned to you quickly, in excellent condition, and at an affordable price. Our Corpus Christi cell phone repair shop will give you the best experience you’ve ever had with your repairs. Alpha Omega Tech Repairs means providing excellent customer service from beginning to end! Our website was designed by Inbound Horizons. If you(or someone you know) needs to improve their online presence, we would highly recommend their PPC advertising services. We also want to thank Cook CPA LLC for their awesome help with all of our accounting and bookkeeping needs. They’re a great help for any small business needing to balance their books and file yearly taxes.